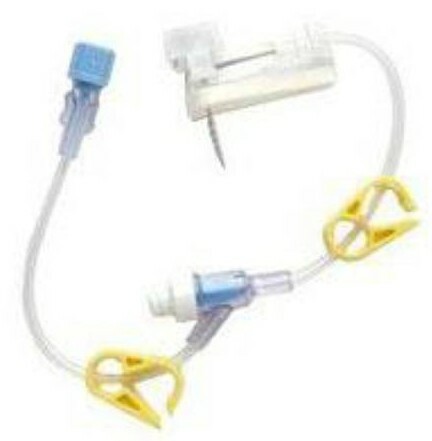 B. Braun Huber Infusion Set with 22 gauge, 0.75" right angle needle. 6 inch tubing injection port and on/off clamp without hub or wings. Comes 20 per box.